Facing long odds and staring down the wrath of party leadership, Seth Moulton’s campaign to keep Nancy Pelosi from retaking her role as Speaker is continuing apace. Now two weeks out from the midterm elections that gave Democrats control of the House, the Massachusetts Congressman took his message to a Town Hall crowd in Amesbury. He got an earful. The Huffington Post reports the crowd was split on the Pelosi issue, and activists opposing Moulton’s anti-Pelosi push came ready to fight, packing into the town hall carrying green and red signs. Union members urged him to stick with Pelosi due to her record with organized labor; others in the audience dinged him for failing to produce a viable alternative to the speaker, or accused him of ageism and sexism. Moulton, who has vocally opposed Pelosi since 2016 and ran on a promise to push for new voices in the party, has taken the center of the spotlight as the party prepares for the next phase of government under President Trump. Moulton and 15 other House Democrats, including Massachusetts Rep. Stephen Lynch, have signed a letter saying they will not vote for Pelosi, who will need 218 votes from Democrats to clinch the position in January. Another candidate those Democrats might vote for has not been identified, although Ohio Rep. Marcia Fudge is said to be mulling a possible challenge. 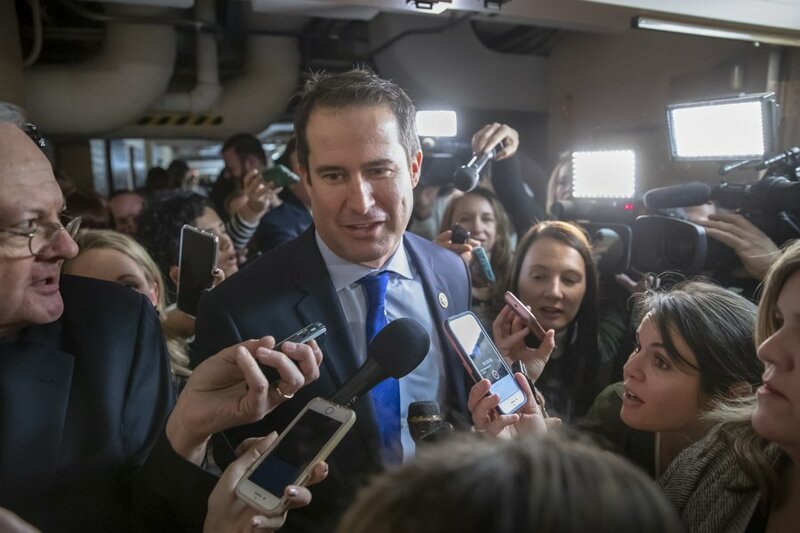 Moulton, who joined Congress after beating an incumbent, does not seem bothered by the fury he has stirred up, and has vowed to keep his efforts going. ““I haven’t changed my position in two years,” he told the Boston Globe after the hearing.